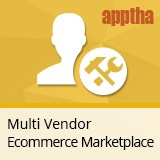 Apptha Marketplace is a online marketplace software using which you can create a multi vendor marketplace within a quick time span. Work for Apptha Marketplace Software? Learning about Apptha Marketplace Software? "Buy a program script and have problems"
I do not like anything scripts are sold with various bugs, you try to talk to someone to be attended and nothing happens. Support is terrible, you try to ask for information in the FAQ, BLOG and any other place and they do not answer I put myself in the disposition to make my paid service because I had lost the period of guarantee and it has been 2 weeks that do not respond with a quotation or some message of answer. Get away! "Easy way to Start an Online Store"
The interesting part about this marketplace software is designed with super store theme which looks appealing and made my estore a different one compare to the competitor's. I am running an ecommerce business platform for hand made vintage products. I approached some of the ecommerce development firms. But the prices almost includes my over all budget and compare to that this pre built extension is lesser and more worth. What Multichannel Retail solution do you use? Run your online retail company from a single location. Webgility integrates with more than 70 e-commerce channels, platforms, and business systems. SellerCloud software integrates with more sales channels than any other provider on the market today and with no per channel fee, your company can maintain the broadest exposure in virtually every leading marketplace. Integrate all sales channels and manage Your orders with Multiorders - multichannel shipping and inventory management software - a perfect workflow optimising solution. Connect all of Your shipping carriers and print labels with just one click, manage pricing and stock levels of all sales channels from the same place. Seamlessly integrate and manage incoming orders from the world's most popular online marketplaces. Sellbrite is the best multichannel ecommerce software to grow your business. Join today and see why merchants love us. Listing Mirror is a fast growing e-commerce company based in South Bend, IN that assists merchants in selling products on multiple online marketplaces (Amazon, Walmart, eBay, Etsy, etc) at once. GoDataFeed simplifies the process of setting up your feed campaigns on multiple CSEs so you can easily take control of your data and manage a continual process of optimizing listings and measuring performance. UniteU Commerce acts as a single unifying commerce hub connecting and aggregating disparate data sources, then leveraging that data across channels and emerging new technologies. Manage your stock levels, orders and dispatching for eBay, Amazon and ekmPowershop from one system. * We monitor all Apptha Marketplace Software reviews to prevent fraudulent reviews and keep review quality high. We do not post reviews by company employees or direct competitors. Validated reviews require the user to submit a screenshot of the product containing their user ID, in order to verify a user is an actual user of the product. Hi there! Are you looking to implement a solution like Apptha Marketplace Software?